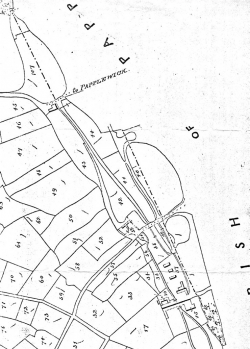 The site of the Moor Pond Woods project appears on the Linby tithe map, which was produced in 1841. Although cotton spinning had ceased in 1828, we can still clearly see several of the mills, ponds and leats which lay along the parish boundary between Linby and Papplewick. A copy of the map and the notes which accompanied it can be seen at the Nottinghamshire Archives.